Our welcome kits help meet the emotional, physical and spiritual needs of immigrant and asylum-seeking families in refuge centers in South Texas. Donate to help fund Welcome Kits! Gather a group & assemble welcome kits together! Share the need and this initiative with your friends. PARTNER WITH US TO MAKE AN IMPACT BY DONATING DIRECTLY TOWARDS WELCOME KITS THAT HELP AID FAMILIES IN NEED! What are donors saying about this campaign? Thank you all for allowing us to participate in the wonderful work you are doing. May God do infinitely more than we could ever imagine with this initiative. God bless you all and the work you are doing to serve the Lord! We donated a kit on behalf of everyone in our family! Thank you for loving Jesus this way. Praise God for this ministry! May He become known and His name lifted high as people are met at their greatest point of need. During the past several weeks we’ve encountered many stories of people who have walked weeks to escape the violence and/or persecution in their home country. Many haven’t slept in days, nor have they had access to a shower. Countless journey with their children who haven’t had an actual meal or water to stay hydrated. Along with the physical needs of these immigrant families, there is so much trauma and emotional pain they are facing. Though such needs are foreign to some of us, they are real to the immigrant individuals and families we are encountering. To help meet some of these needs, we are partnering with local organizations who are providing services to families in need. 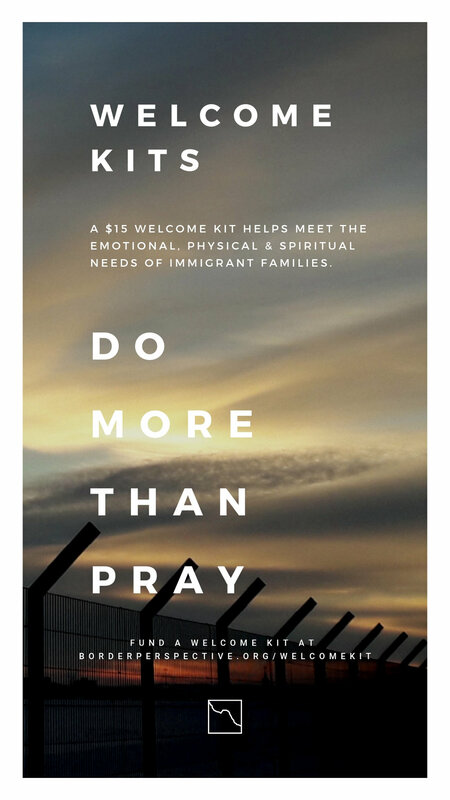 Our welcome kit will help provide emotional and spiritual support, and meet immediate physical needs for many immigrant families and asylum seekers currently in transition on the South Texas and Mexico border. OUR GOAL IS TO COLLECT 1,000 WELCOME KITS & SPANISH BIBLES FOR IMMIGRANT FAMILIES. 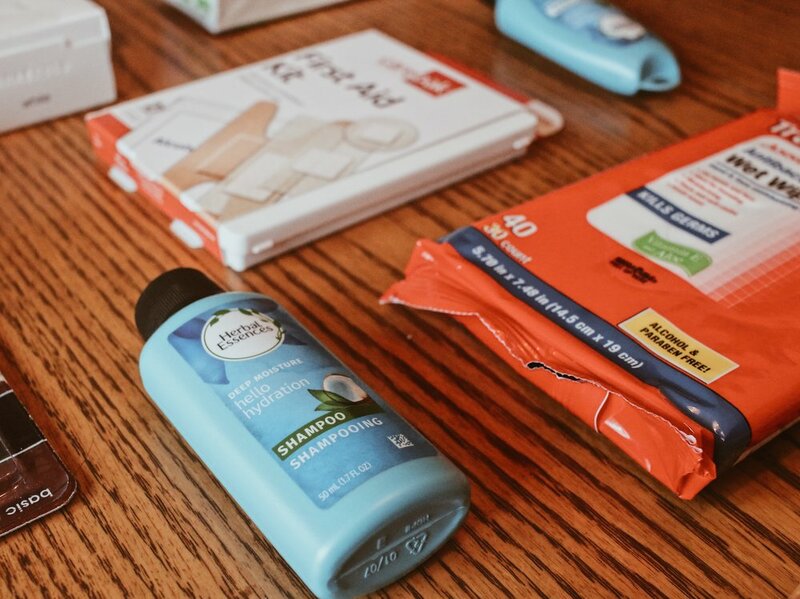 Our welcome kits provide basic necessities to families who have been forced to leave their homes because of human conflict or violence. We’re so grateful for your interest in providing welcome kits to families in need. As much as we care about providing and meeting the physical needs of immigrants, we also care about their spiritual well-being. We truly believe that the Gospel provides hope and redeems the most broken people. We have the opportunity to have a holistic approach to meeting immigrants physical and spiritual needs. 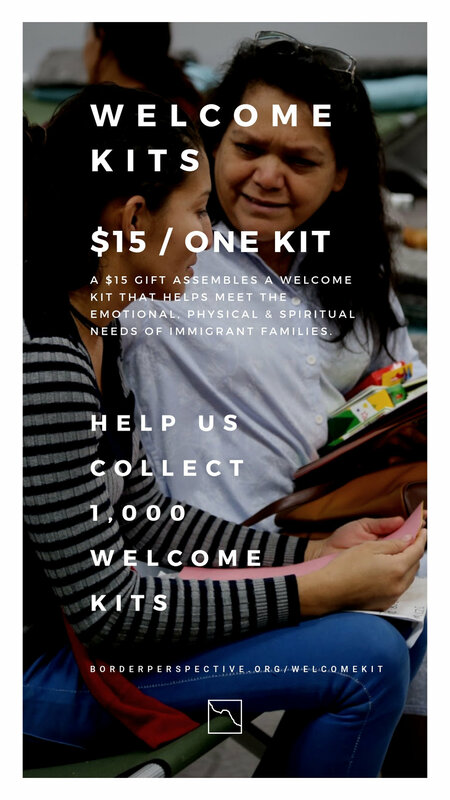 Our Welcome Kit Helps meet the emotional, physical and spiritual needs of Immigrant families. ASSEMBLE WELCOME KITS WITH YOUR CHURCH, SMALL GROUP, AND/OR WITH A GROUP OF FRIENDS! Place all remaining items on top of the hand towel (except the gallon size bag). WE RECOMMEND ORDERING HYGENE ITEMS FROM DOLLAR TREE AND SPANISH BIBLES FROM BIBLESBYTHECASE.COM. *ALL ITEMS NEED TO FIT INSIDE A ONE-GALLON ZIPLOCK BAG. REMOVE THE EXCESS AIR FROM THE BAG AND SEAL WHEN SHIPPING. GET IN TOUCH WITH US AND WE’LL BE IN TOUCH WITH MORE DETAILS. Contents of kits or the containers of kits should not be imprinted with cartoon characters, advertisements, propaganda or camouflage symbols. The $2.00 processing fee is a suggested donation only to those who are assembling and mailing kits directly to us. Please send a check to “Iglesia Misionera Cristo Vive” for the total amount of welcome kits times $2 per kit for storage and transportation needs. *One check may be written for all of the kits sent. Please do not include check inside the kit bundle. INVOLVE YOUR FACEBOOK & INSTAGRAM COMMUNITY! Click on an image to download to your phone or computer. Our ministry serves families on the U.S./Mexico border year around. We help equip leaders, advocate for biblical justice and mobilize the church into action. Want to learn more or have questions about our welcome kits? THANK YOU FOR SEEKING OUT WAYS YO HELP SUPPORT IMMIGRANT FAMILIES.